Hi, I’m Andy Preston. Nice to meet you. I’m well known for helping people increase their sales, all over the world. 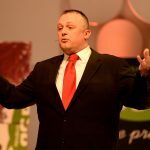 Having been a top sales performer myself, I believe becoming a top performer is completely ‘trainable’, and that anyone can achieve what I did, and more. I believe I can increase the sales of any individual, just by ‘adding in’ some of my unique sales tactics, and a few simple tweaks to their current sales approach. I believe I can make a fundamental difference to your sales performance, and your team. 320 Recommendations (Testimonials) for my work on LinkedIn alone, would seem to back up that claim. My work is to devoted to creating and maintaining top sales performance for my clients. I’m lucky to work in numerous countries around the world, improving the sales (and salespeople) of many different companies, in many different industries, in many different cultures. But how did I get here? Originally a professional buyer for a medical company, it was here that I learnt first-hand how most salespeople ‘count themselves out’ of winning deals. I was often shocked by how poor sales approaches were, either on the phone trying to get an appointment with me, or face-to-face trying to get me to agree to purchase their goods or services. Conversations with fellow buyers showed me that I wasn’t alone in this experience. It seemed that poor sales efforts were everywhere! I decided that after my interactions with salespeople (and what they did wrong) that I could make an impact in a sales role. Nothing to do with the fact that sales jobs were advertised with a higher salary than I was on back then, with a car, a phone and expenses paid for as part of the package! So I chose to work in the most commoditised industry in the world – printing and office supplies sales. My job was 100% new business – originally cold calling over the phone, then I was ‘promoted’ to cold calling face-to-face. 60 doors per day. 4 days per week. Then on the Friday, I had to ring the 240 people I’d already met that week, and convince them to change their provider for print and office supplies, and start to work with me – even though I was more expensive! It was tough. Very tough. At times I questioned myself, and nearly quit, on a number of occasions. I got myself through my probationary period on hard work, activity and effort alone. But something had to change. Then I Discovered How To STAND OUT From The Competition….. In this industry, it was almost impossible to differentiate. I was selling EXACTLY the same products as most of my 150 competitors on my territory (Manchester). Most of them were selling from the same catalogues that I was. Same products. Same quality. Same service. Then add to the fact that I was working for a franchise, and we had to pay 15% royalty fees to head office. Therefore I was selling the same thing as my competitors, but had to charge people 15% extra for working with me!!! I quickly learnt that in a market where you CANNOT stand out with your product, your service, your delivery, or anything else, the difference has to be the salesperson themselves. To get people to want to buy from you. To be prepared to pay a premium to do so. To choose you and your company over others that may offer something different, and potentially also be cheaper. To knock back all sales approaches from your competitors and be happy to continue to work with you, whilst still paying a premium to do so. And that’s the foundation of Stand Out Selling. 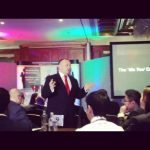 I Used Those Ideas To Become A Top Performer…..
After implementing my ideas (and the beginnings of the Stand Out Selling methodology), I found my sales kept increasing, to the point where I became the top salesperson in the country. 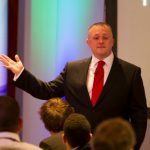 I then got a lot of other people asking me how I was achieving such great sales results……. 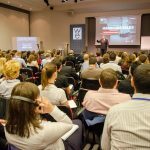 I was promoted to running a sales team, and to improve their performance I started to put the things that had made me successful into a ‘process’ – and started training the team in my methods. Once they implemented the techniques, we started seeing fantastic results. Other people noticed those results, and started asking me to train them as well – and that’s where the idea for motivating and training people full time came from! 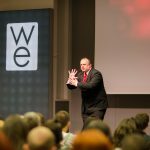 Since 2004 I’ve been lucky enough to be working with people worldwide – speaking, training, coaching and consulting. 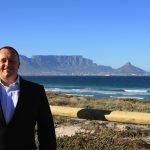 I’ve now worked with over 1200,000 people in more than 30 countries and got some huge results, from companies like IBM, American Express, FedEx, Nissan and Rackspace. I’ve also got great results for smaller, more entrepreneurial organisations that you’ll never have heard of – and helped them take business off their better known competitors. 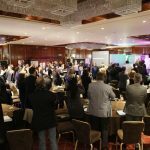 Through my articles, Top Performers Sales Academy, and limited amount of private coaching, I also help individual, ambitious salespeople and sales leaders reach their goals. 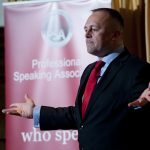 I combine my experience as a professional buyer (and my studies on how people make buying decisions) with my top performer sales experience (delivering proven sales techniques) and also my work around the world helping salespeople and sales teams become top performers! The combination of those 3 areas, and my Stand Out Selling sales methodology produce results that other people struggle to get near. Have a look at the 320+ testimonials clients have given me on LinkedIn alone! Call the office on +44 (0)161 401 0142, or use the contact form below. I look forward to helping you and your team reach their sales goals! What I Do Outside Of Work…. 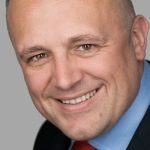 When I’m not inspiring salespeople and sales teams, you’ll often find me playing guitar, taking photographs, or watching sports – usually Rugby and Ice Hockey. I split my time between the UK, Middle East and South Africa. You’ll often see me at Sale Sharks games when I’m in the UK, Dubai Rugby 7’s when I’m in the Middle East, and Western Province/Cape Town Stormers games when I’m in South Africa. I’m often at those games as a photographer for the media too.